Sonnati Hotel Isfahan, winning the dubious award for Isfahan’s most shambolic service, this place is set around two courtyards in adjoining Safavid- and Qajar-period homes. The 16 rooms are reasonably clean and comfortable, with satellite TV and attached modern bathrooms. Its location deep in the Bazar-e Bozorg area isn’t great, because walking around here at night can be a bit dodgy. The restaurant here is a popular lunch spot. 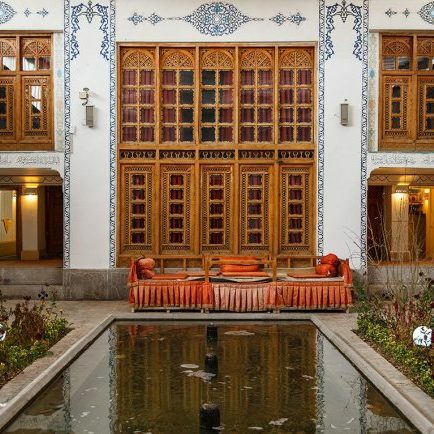 Our independent authors have visited Isfahan Traditional Hotel and selected this as one of our recommended traditional hotels in Isfahan.